Mix all ingredients together and warm in microwave for a few seconds to melt the honey. Soak the shredded chicken in lime juice and added salt and pepper to taste. 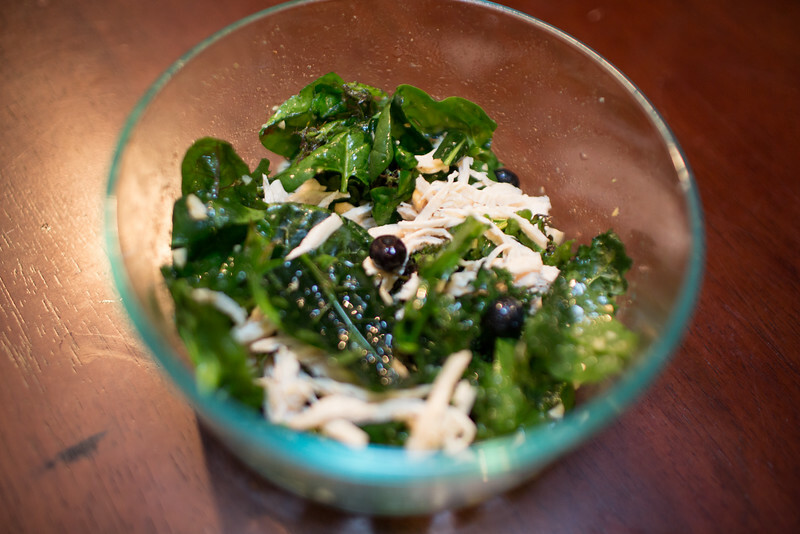 Mis the greens, salad dressing, blueberries and peanuts (any topping of your choosing works). Top the salad with the marinated chicken and enjoy! I don’t eat enough salads (probably because I never make it at home and why would you order a salad when you eat out), but making this salad this week reminds me why they are actually great. They are very easy to change-up by mixing in different toppings and require very little cooking. I boiled and shredded the chicken in advance and assembled the salad each day with slightly different dressing and toppings.